"State Immunization Registry Program to Improve Vaccination Rates"
The state immunization registry, or immunization information system (IIS), is an important resource for consolidated patient immunization records so that vaccination providers can access this information.Over the years state immunization registry have evolved into sophisticated data management and clinical decision support tools for vaccination providers. What are the biggest barriers to provide immunization services in community practice? Why the retail-based pharmacist vaccinators have not taken up using the IIS as part of their daily pharmacy vaccination workflow? Did having the registry information provide a positive return on investment in terms of benefits gained? 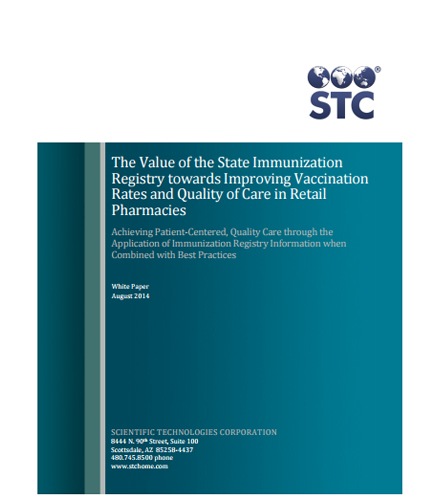 How using the registry impact the vaccination rates for the patients receiving pharmacy immunizations? How to take advantage of an immunization information programs to increase vaccination rates? What steps do private companies take to increase vaccination rates and why?